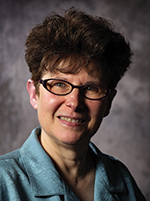 Nancy Steineke, a former high school English, social studies, and vocational education teacher, now consults nationally as a keynote speaker, workshop presenter, webinar leader, and classroom coach for K-12 teachers. Nancy keeps the focus on research-supported manageable strategies that help teachers get the job done in ways that best benefit students. Participants regularly praise her “practicality,” “concrete ideas,” and “energetic style.” She is the author/co-author of eight professional books including Corwin’s Teaching the Social Skills of Academic Interaction (co-authored with Harvey Daniels). Research indicates SEL skills contribute as much to student success as academic skills. Participants will learn how to evaluate students’ current SEL skill levels and teach explicitly the skills they most need. Learn how to create a safe classroom for academic learning and risk-taking, where students embrace diversity, show respect, and recognize unique talents. Reading and writing skills progress when students read, write, and share on a daily basis in every classroom. Learn how to structure accountable-talk, introduce and scaffold concepts with visual texts, provide invitations to write, and offer daily opportunities for quick, and engaging writing activities. In this era of standards and high-stakes testing, every classroom minute must be fully utilized. Participants will learn how to combine literacy tasks that complement reading, writing, and speaking; offer student choice in ways that increase accountability; use fun, engaging mini-lessons and inquiry projects; and increase the amount students write. Brain research reveals that learning needs to be connected with physical movement, positive emotion, and novelty. Learn how to create a supportive classroom, experiment with different creative mediums, connect physical movement, music, and art with content-area expertise, and provide students with projects that require collaboration and creativity.